Don’t miss out on our BACK TO SCHOOL SPECIAL! DON’T MISS OUT ON OUR BACK TO SCHOOL SPECIAL! NOW £19.99 – SAVE £70! You’ll want to get in your exercise now that your children are back in school* with our back to school special for just £19.99 per month! PLUS…. For a limited time only, pay NO joining fee, saving a further £10! Over 200 classes per month, all included. The best gym, free weights equipment & resistance machines. Luxury Sauna and Relaxation Room, in our changing rooms. 10% OFF Beauty Treatments when you are a member! And not forgetting, you will officially be in a 100% LADIES ONLY environment, ran by ladies, which we know you strongly value in a gym! HURRY as this is a limited time offer and WILL end soon! *p.s. this back-to-school special is for parents and non-parents alike! Use our FREE day pass! You can download a day pass here! 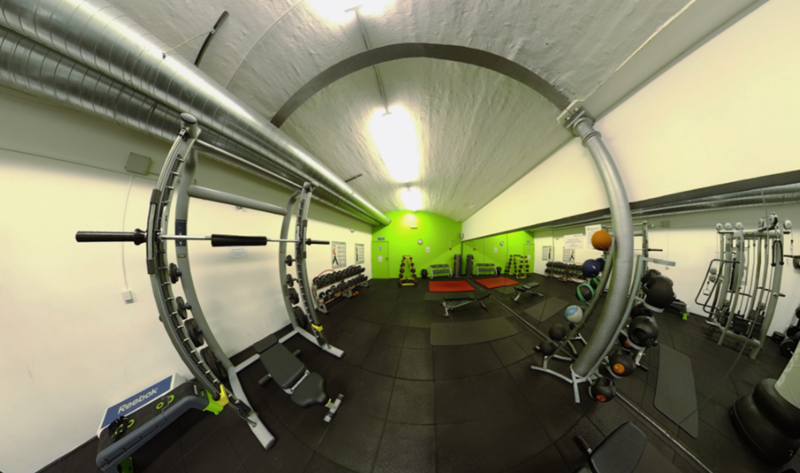 Feel free to use our gym and facilities for an entire day before making your choice! But don’t leave it too long! We are the BIGGEST women’s studio gym in Bradford, with a humongous 50% increase in gym-space and with another extension on the way, means bigger and more exciting classes, and near-guaranteed space in all your favorite classes too. Did we mention that we recently taken another GIANT LEAP by doubling our cardio, resistance machines and gym equipment? Don’t believe us? Check out our NEW Virtual Tour of Listers Health! You won’t EVER have to go anywhere else. So, what’s your excuse? Still not convinced? Watch our video! The Listers Team were at the National Fitness Awards 2017…we unfortunately took second for Ladies Gym of the Year BUT we promise you, we will definitely put EVERYTHING in it to WIN next year…what this means for you is that we will be doing our damnedest to make your gym experience the BEST! And more exciting things will be happening in 2018, but wait…they are already happening, such as our Raggaecise classes, and we want YOU to be apart of them when they hit our timetable! Saiqua Parveen lost a tremendous 1 Stone, 6 lbs (10 KG) so far! See her fitness journey after 1 Year at Listers Health here! Safeena Kauser lost a monumental 9 Stone, 7 lbs (60.3 KG) so far! See her fitness journey after 2 Years at Listers Health here! Saiqua Parveen lost a whopping 6 Stone (38 KG) so far! See her fitness journey after 1 Year at Listers Health here! I recently moved to the Bradford area and have been meaning to join your gym, however I haven’t got round to it until now. Is there any way you could please allow me to join with the ‘back to school’ offer that I found on your website? I have just visited your website to try and join, however I noticed that the offer has now unfortunately expired. I phoned previously to join, around the end of September, however your staff must have been busy, and my call was not answered. I’d really appreciate your help as I want to join ASAP. I would like to subscribe to Listers Health's updates and offers.